Clinical interest: Anaesthesia for major Urological, Orthopaedic and Plastic Surgery. Dr Sean Hopson currently regularly anaesthetises for major open Urology cancer cases, Orthopaedics and Reconstructive/Plastic surgery. Dr Hopson is active in the use of regional anaesthetic techniques, and the application of evidence based medicine to anaesthetic practice, and is also interested in clinical IT systems. 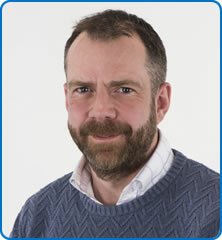 Dr Hopson was previously at Frenchay Hospital in the Paediatric Neurosurgery and Burns/Plastics service. Dr Hopson's other interests include pre-hospital medicine at major public events (working at Glastonbury and Reading Festivals since qualification), and Diving and Hyperbaric Medicine (SPUMS Diploma).